Totally can't get myself out of the bed.. So she asked someone else to open the shop in my place.. Asking me to go work.. I would feel damn reluctant to go work too..
And eat some medicine later..
Watch a bit of anime I guess? And oh, recently, it has finally stopped raining in Singapore!! It's no longer rain rain rain everyday!!! Gosh I totally can't stand this heat!! 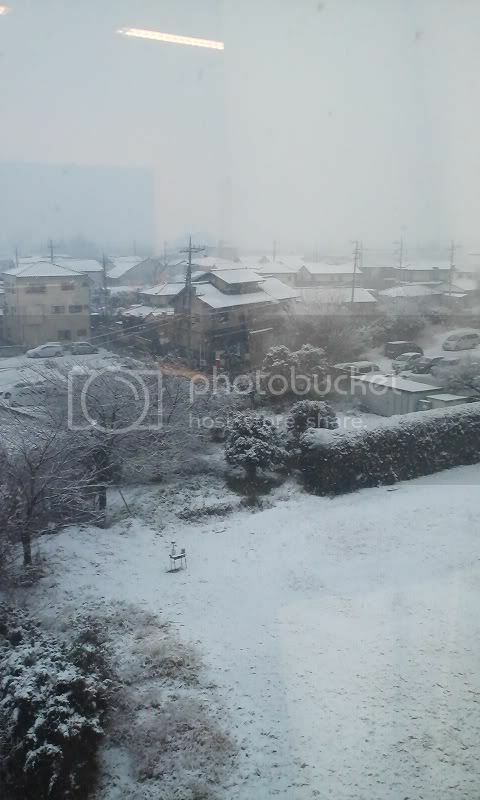 By the way, it seems like Japan has been snowing quite a bit these days!! My friend actually took a photo and sent a mail to me!!! I wonder when will I actually get to experience snow myself..
And tomorrow it's Valentine's Day!! I have to work tomorrow too..